Which flavors remind you of Fall? Pumpkin? Eggnog? How about pecans? Nothing is more reminiscent of what season you are in quite like a pecan pie. The trouble comes in the form of the calories that a traditional pecan pie can provide. When you want to have your pie and eat it too, try this delicious, easy-to-make, calorie-friendly treat. Best of all, it is allowed on many popular diets such as the Paleo diet. Even if you aren’t on a diet, you can enjoy a guilt-free treat this holiday season. Place parchment paper in a 10 x 15-inch glass oven safe dish. In a food processor, combine the almond flour, arrowroot powder, and sea salt. Pulse it through for a few seconds before adding in the egg and coconut oil. Turn it back on until it begins to form a dough ball. Press the dough evenly into the dish. Meanwhile, in a clean food processor, blend the dates, eggs, maple syrup, and vanilla extract on high until you have a smooth filling. Sprinkle the chopped pecans over the top filling. Bake the bars for another 25 to 30 minutes. Allow the bars to cool for 15 minutes then cut them into even squares. Want to include a little vanilla flavor to your pecan pie bars while increasing your protein intake at the same time? Try adding one or two tablespoons of BSN – IsoBurn into the batter, available from Nashua Nutrition. This popular protein powder contains an innovative fat burning formula that is ideal for any diet. Isoburn is a protein supplement that will turn these pie bars into the perfect post-workout snack. 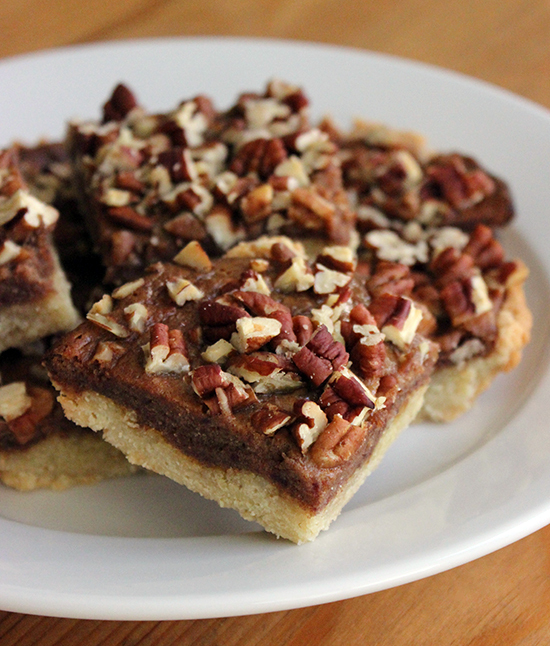 The post Healthy Pecan Pie Bars Recipe for the Holidays appeared first on Nashua Nutrition Blog.